Seniors are proving that age is nothing but a number! Thanks to options like personal homecare, seniors are staying vital, independent and active in their careers and hobbies in their seventies, eighties, and beyond. Some icons of sports and the arts are refusing to let age deter them from doing what they love on the national stage, the local scene, and even in the desert. 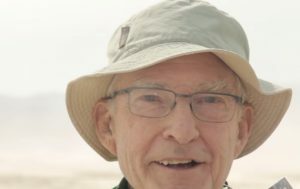 Here are three stories of independent seniors who made news last month in different ways that highlight how seniors are taking care of business and exploring new worlds. 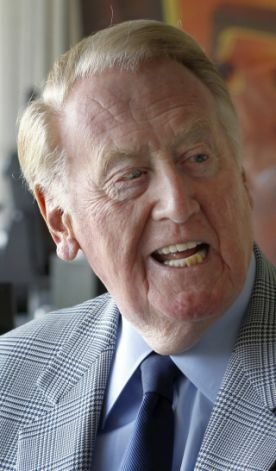 Vin Scully has been broadcasting for the Los Angeles Dodgers for 65 years, and this October he’s looking forward to another post-season with the team he joined in 1950. At that time, of course, they were still the Brooklyn Dodgers, and though Scully grew up in New York a Giants fan, he was thrilled at the opportunity to call major league baseball. (Historian Doris Kearns Goodwin wrote an excellent memoir of the era, Wait Til Next Year) Scully started announcing sports while still a student at Fordham University, for the school’s radio station, and entered the Dodgers’ broadcast booth only a year after graduating. He also spent many years calling NFL games, tennis, PGA golf, All-Star, playoff and World Series baseball for various networks, becoming the iconic sports voice he is today. Among the many awards and honors he’s won, he was inducted into the Broadcaster’s wing of the National Baseball Hall of Fame back in 1982 – and at 87, he’s still going strong and has no plans yet to retire. 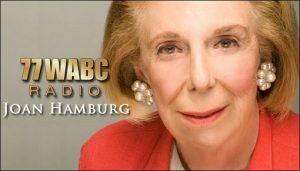 Joan Hamburg, known as New York’s First Lady of Radio, began her career in New York in the early 1970’s with short segments on a popular morning radio show. She got her own show on WOR, one of New York’s top AM talk radio stations, in 1979, broadcasting a popular mix of the day’s news, celebrity interviews, restaurant reviews, and medical, life and shopping advice. Her loyal fans have even taken vacations to Europe and Asia with her. In 2012, she was inducted into the NY State Broadcaster’s Hall of Fame. This past June, after almost 40 years at WOR, she was abruptly let go, disappointing fans who turned the dial for her in vain. The indefatigable Joan, now 79, started a new show on WABC-770 on September 20, 2014. You can find her on Twitter @JoanHamburgShow, or listen live online on Saturdays from 1pm – 3pm Eastern. Your loved one may not be a national or local icon, but that doesn’t mean he or she can’t remain independent as long as possible with overnight care or personal care that fits their needs. A large majority of adults over 65, according to AARP, would prefer to stay in their own homes as long as possible. The best way to retain autonomy, and to age in place, is with the assistance of a private companion or other homecare solutions. 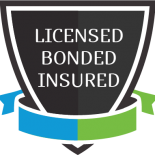 Casa Companion Home Care, one of San Diego’s premiere companion care services, can provide your loved one with what he or she needs.